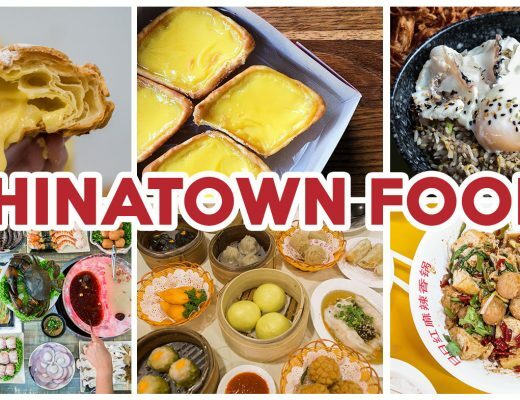 Apart from famous food centres such as Golden Shoe and Old Airport Road Food Centre, Newton Food Centre is another popular eating spot that can satisfy your cravings for hawker food. And with close to 100 stalls, it’s no wonder this food centre got chosen to be featured in Crazy Rich Asians. Here is a guide to make your experience in Newton Food Centre one that’s as awesome as Rachel Chu’s first meal here. 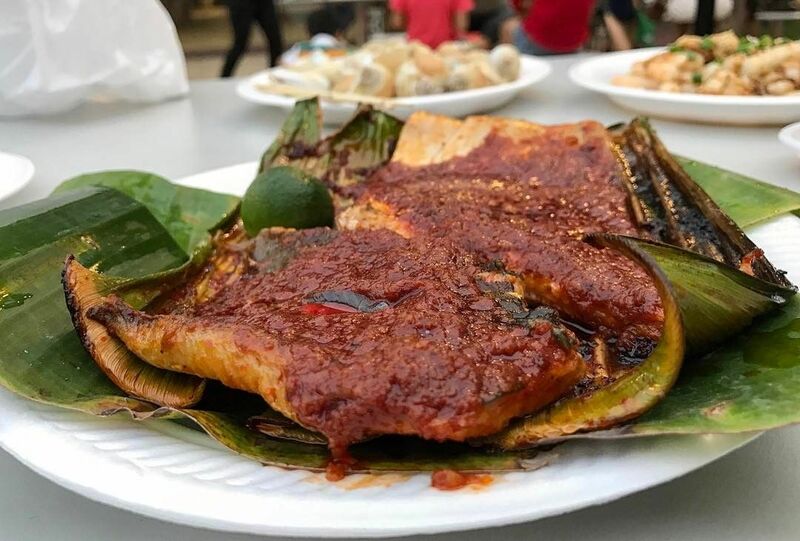 Guan Kee Grill Seafood’s BBQ sambal stingray ($12/$15/$20) comes with an excess of hot hei bi sambal on top of fleshy fish, and this dish is enough to set your taste buds on fire. While it is being barbequed, it gives off a distinct smokiness that produces another layer of flavour. On the side, chinchalok and lime juice are served with this flaming dish to neutralise the spiciness by providing a sharp tartness to the fiery punch. If you spot a stall with a beeline of customers, chances are the stall belongs to Hup Kee. 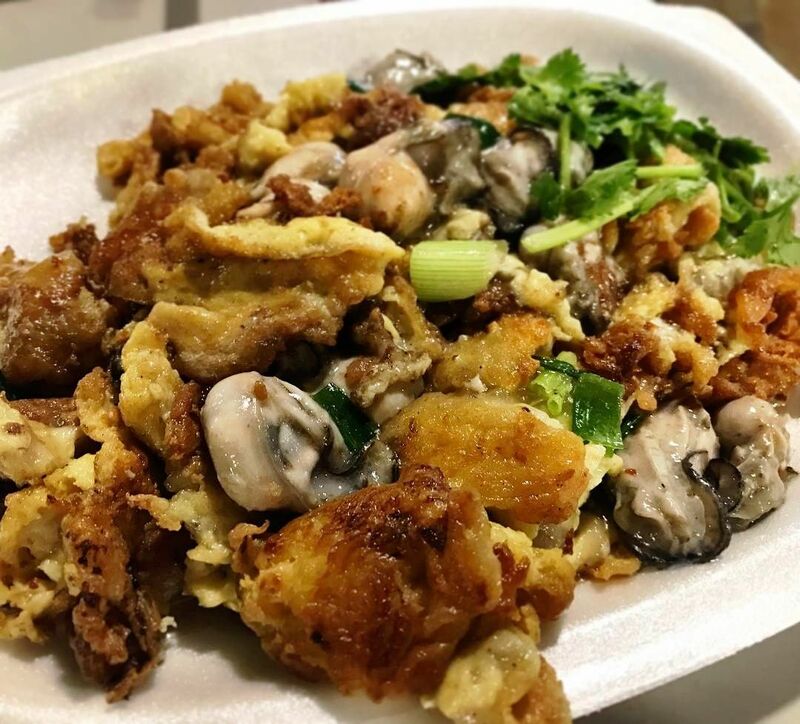 Ever since their days in Glutton’s Square at Orchard Road in the 1960s, Hup Kee has been known for tasty fried oyster omelette ($5). This dish consists of starchy egg batter that turns into a crispy omelette upon frying, and each plate comes with huge juicy oysters. Fresh parsley is served as a garnish, alongside house-made chilli. Thye Hong’s Hokkien mee ($6) is a huge hit as the noodles are infused in a flavourful prawn broth while cooking. The owner first fries the eggs to give off a delightful fragrance, then mixes a large heap of ingredients including prawns, squid, spring onions and bean sprouts together in a huge wok on high heat, giving this dish some solid wok hei. 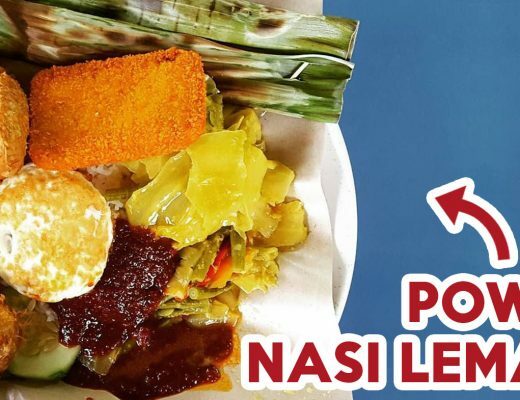 It comes with sambal chilli sauce on the side to enhance the overall experience. 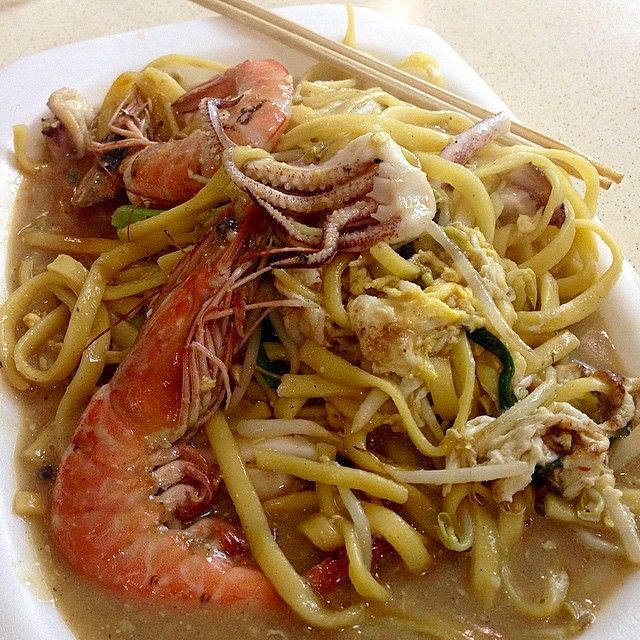 Check out our top 10 Hokkien mee picks! 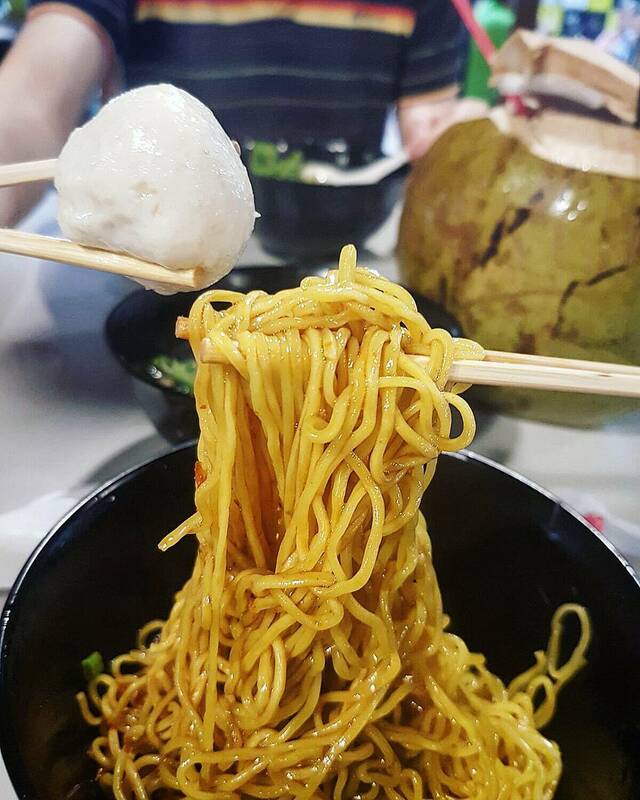 Opened only for dinner and supper, Soon Wah’s fishball noodles ($4) offers springy, al dente noodles with fish balls the size of ping pong balls. 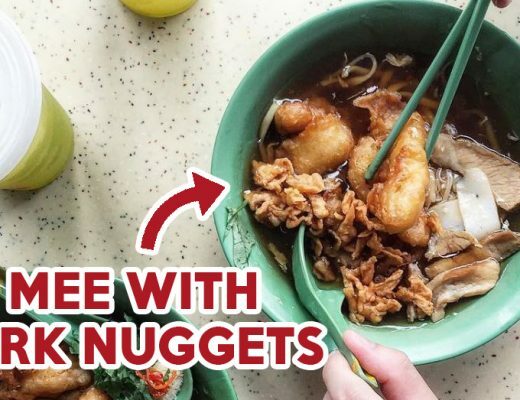 You don’t have to be a fan of kway teow to enjoy this dish because the highlight at this stall is their famous fish balls and fish dumplings. Their fish balls are handmade early in the morning every day and are exceptionally bouncy. Alliance Seafood was awarded a spot on the Bib Gourmand list in last year’s Michelin guide. 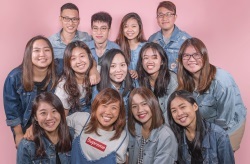 Michelin guide inspectors recommended their chilli crab (seasonal price), which comes with a stellar version of the familiar sweet-savoury and spicy tomato-based sauce mixed with silky bits of egg. 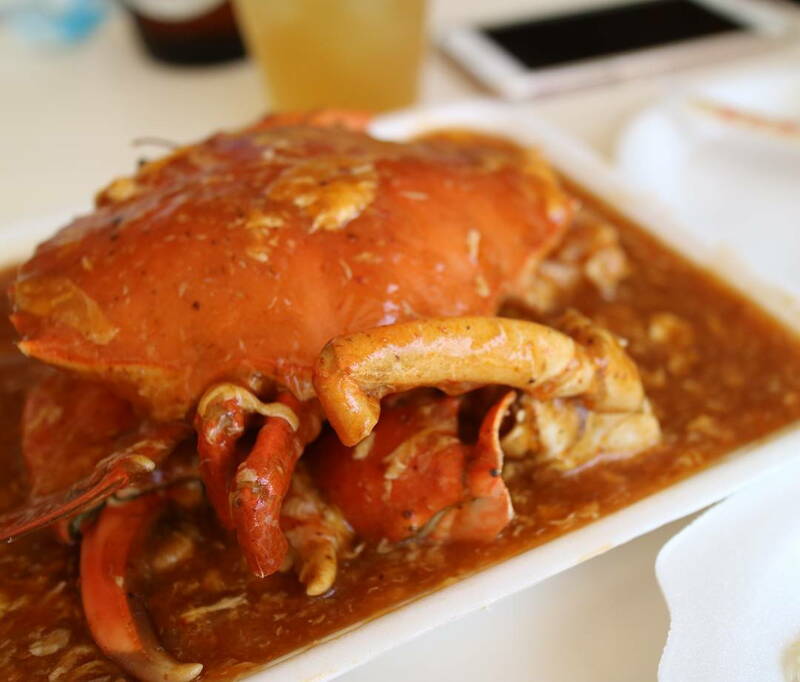 Despite being covered in sauce, the crab still preserves its natural sweetness. This dish is best paired with, needless to say, lots of deep fried mantou. Check out other mantou dishes you can get in Singapore! Satay makes a good choice if you don’t want something too heavy. 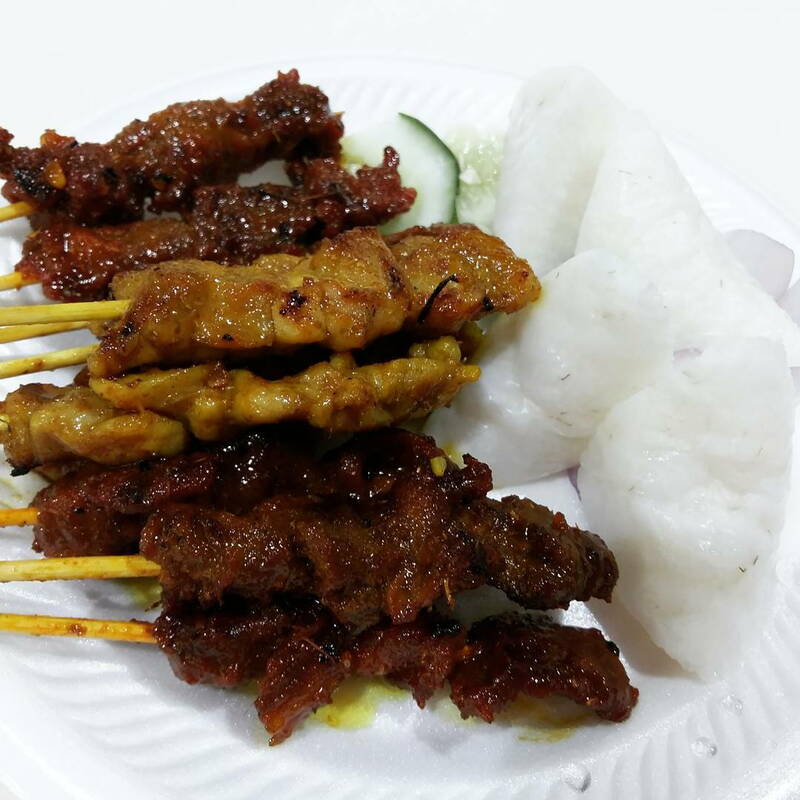 There are several satay stalls in Newton Food Centre, but the sticks of satay from TKR Satay are exceptionally juicy. The stall offers choices of chicken, mutton, and pork satay priced at $0.60 each. The meat has a charred aroma from being barbecued over a bed of charcoal, and is irresistible when dunked in chunky peanut sauce served on the side. 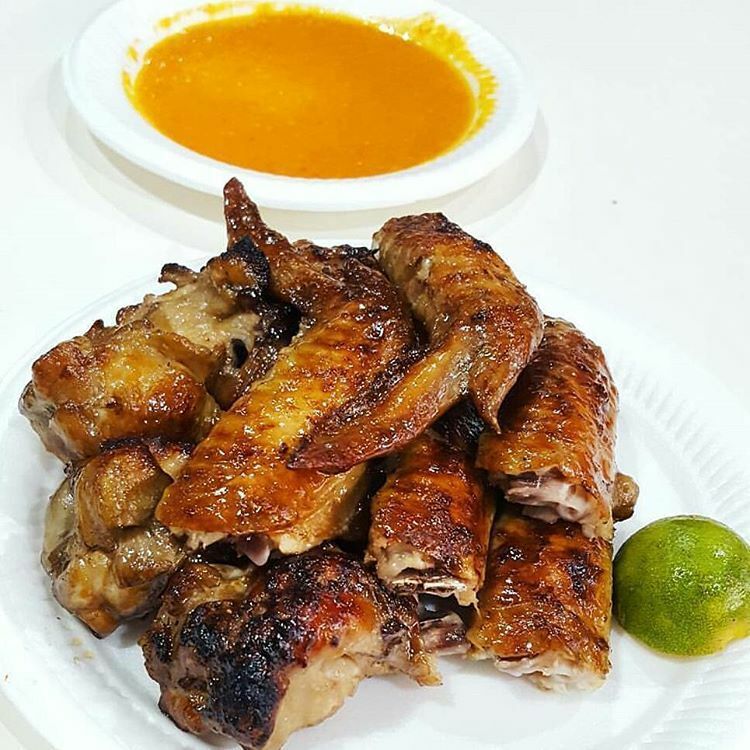 Weng’s BBQ chicken wings ($1.30 each) are juicy and succulent with a crispy char on the outside. Barbecued over charcoal, the tender chicken wings comes with a smoky flavour. What sets this stall apart from others is its house-made chilli sauce. Apart from being spicy, there is a refreshing hint of sourness in it as well. 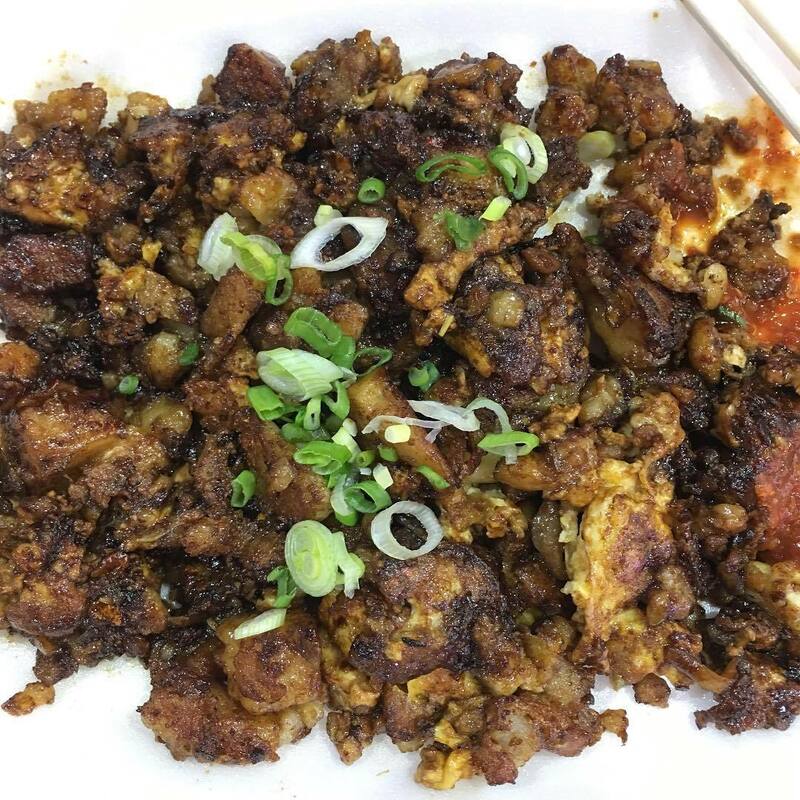 Claimed to be among the best chai tow kuay in Singapore, Heng’s fried carrot cake ($4 onwards) certainly lives up to expectations. Their fried carrot cake is coated with a seasoned eggy mixture, and mixed with chunks of pillowy carrot cake that contain small pieces of turnips for an extra crunch. Lastly, it is topped with a handful of spring onions for the full experience. Offering white and black fried carrot cakes, eating here is definitely worth your time, money and stomach space! 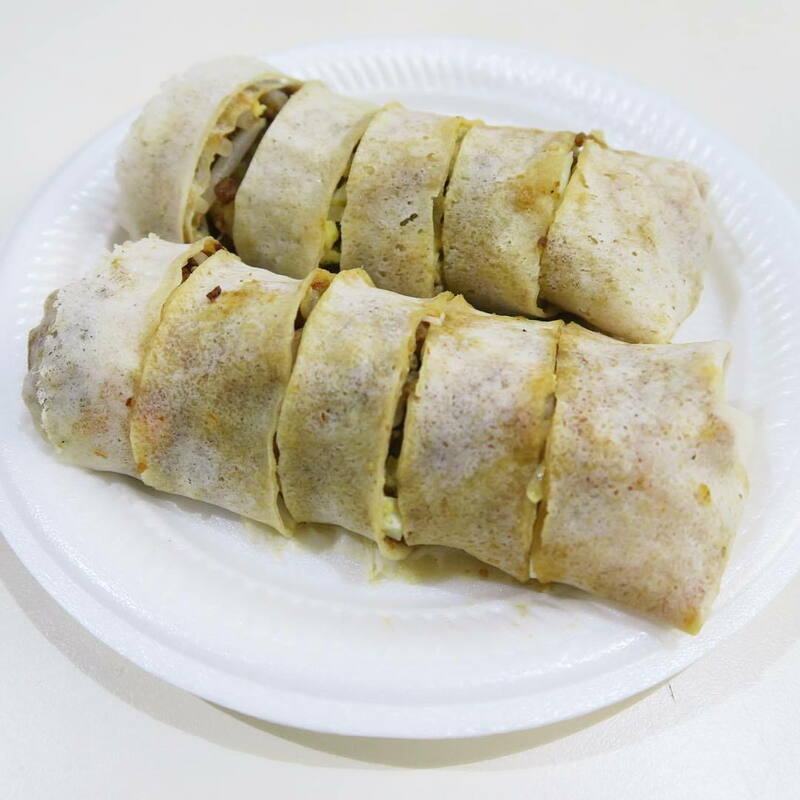 Bee Heng has been around since 1930, so you can expect a fine-tuned recipe of flavour-packed popiah ($1.60) that has earned them a loyal following. The turnip filling packs a punch because it’s simmered in prawn stock, and retains a crunch when you bite into it. The rest of the filling is simple – chilli, lettuce, bean sprouts, eggs, shallots and peanuts. Overall, this steaming hot popiah is really value for money. 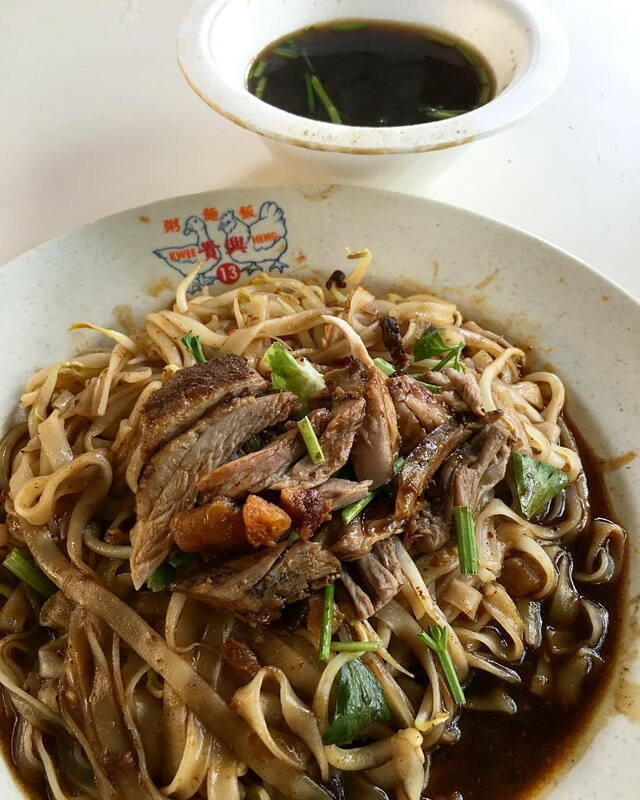 Kwee Heng offers an extensive menu of roast chicken and duck dishes, but the one to go for is their dry style duck noodle ($4/$5). It sells out quickly even with the stall’s short opening hours, so make sure to head down early. To amp it up, request for a bowl of herbal soup on the side for when the noodles get dry. The soup has a strong herbal taste but is surprisingly pleasant on the palate. Just a short walk away from Newton MRT Station, Newton Food Centre is often called Newton Food Circle because of how the stalls are arranged. A few quick tips: stalls numbered 31, 53, 74 and 78 are certified halal, and stalls numbered 35 and 49 label themselves as “no pork, no lard”. Come in the evening to avoid the scorching heat, plus, it is livelier at night too!